Hollywood based Music Composer approached the team of Grey Coconut Designs with a requirement of a portfolio website to bast showcase his extensive catalog of works working on TV series, movies, games and others. 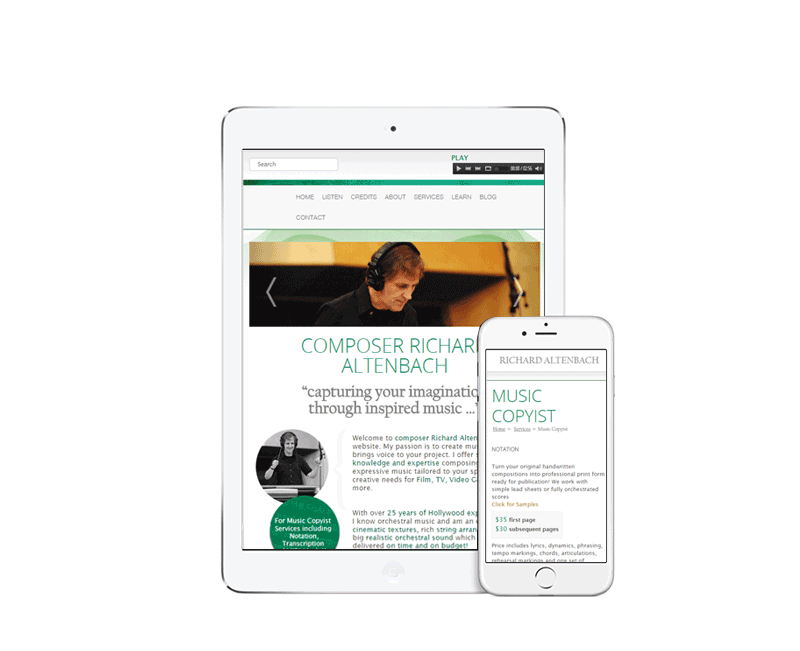 A custom website design was conceptualised by our team to best represent the music composer and his brand and style of music. Applications to showcase his music streamed through audio plugins, blog updates on recent performances, events attended and the various services on offer were designed and developed using the wordpress platform. The website was optimized to be responsive, to work seamlessly on all screen sizes, mobile phone and tablets.